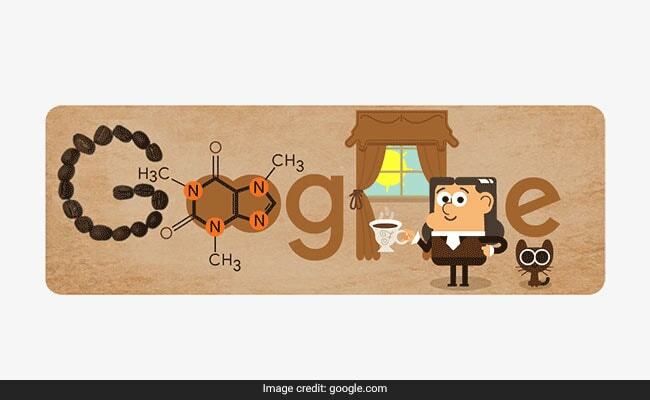 Today's Google Doodle honours German analytical chemist Friedlieb Ferdinand Runge on his 225th birthday. From an early age Runge expressed his interest in chemistry and began experimenting as a teenager. One of his early experiments include the effect of belladonna plant's extract on dilating of pupils. Runge had accidentally splashed a drop of belladonna extract in his eye and took note of its effect on his pupil. Runge's experiment was noticed by his professor Dobereiner's friend, Johann Wolfgang von Goethe, who encouraged him to analyse coffee. Few months later, Runge went onto identify caffeine. Runge completed his doctorate from the University of Berlin and taught at the University of Breslau till 1831. His noteworthy inventions include first coal tar dye along with a process on how to dye clothes. He is also one of the first scientists to isolate quinine (a drug used to treat malaria). Runge has also contributed as an originator of paper chromatography (an early technique for separating chemical substances) and devising a method for extracting sugar from beet juice.